Wedding bands for hire in Manchester. 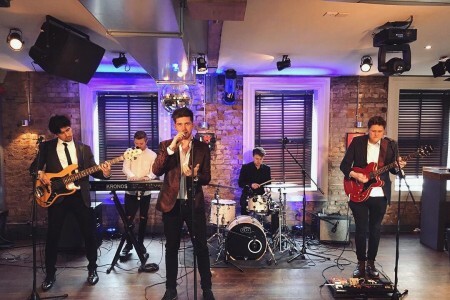 The UK Wedding Band Directory showcases the best live bands, singers and musicians. No matter what style of music you are after for your big day, we are sure to have the perfect band to match. 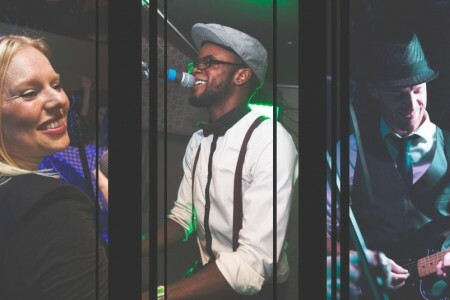 Whether it's soul & Motown or indie rock, this expertly curated roster of Manchester based bands will help you find the ideal live act to fit your individual requirements. Have a browse and if you need any help, please get in touch with our wedding entertainment experts on bookings@weddingbandshire.com or 0800 564 2240, we'll be very happy to help! Funk, Soul and Pop Party Band with an extensive repertoire from acts as diverse as Luther Vandross to Taylor Swift. We perform as a 4, 5 or 6 piece band, 1st Dance requests and DJ service included!! The Wire are a slick and stylish party band who specialise in providing entertainment for weddings, parties and corporate events.